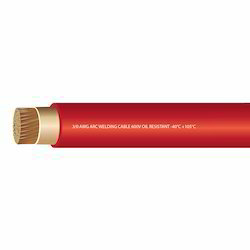 We design and manufacture a Wide array Of Fire Survival Cables as per our Customer's requirements. We take Buy-Back Guarantee Of Our Fire Survival Cables If They Happen To Be Flawed. 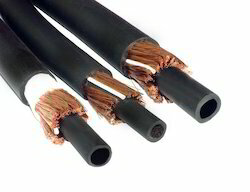 We buy best quality & multi level tested raw materials to manufacture Fire Survival Cables. We Are Backed By Technologically Advanced Infrastructure And A Team Of highly Professional engineers having experience in manufacturing of Fire Survival Cables, Today, We are exporting Fire Survival Cables to more than 40 countries like UAE, EGYPT, TURKEY, Singapore, Malaysia, Iran, Iraq, Saudi Arabia, Bahrain, Qatar, yemen, Kuwait, Argentina, Palestin, Algeria, Italy, Tunisia, Oman, Mauritania, USA, Bangladesh, Lebanon, Canada, Vietnam, INDIA, Sudan, Syria, Morocco, Libya, Jordon, And many more..
High resistance to cuts , tears & abrasion. Resistance to oil , solvents and chemicals. Excellent ozone and weather resistant. Welding : Designed for the secondary (high current) connection to automatic or hand – held metal arc welding electrodes. It is suitable for flexible use under rugged conditions, on assembly lines and conveyor systems, in machine tool and automatically operated line and spot welding machines. Power : Earthing/return leads, power feeds to electrolytic plating process, Busbar connection, transformers, generators, aircraft servicing equipments etc.